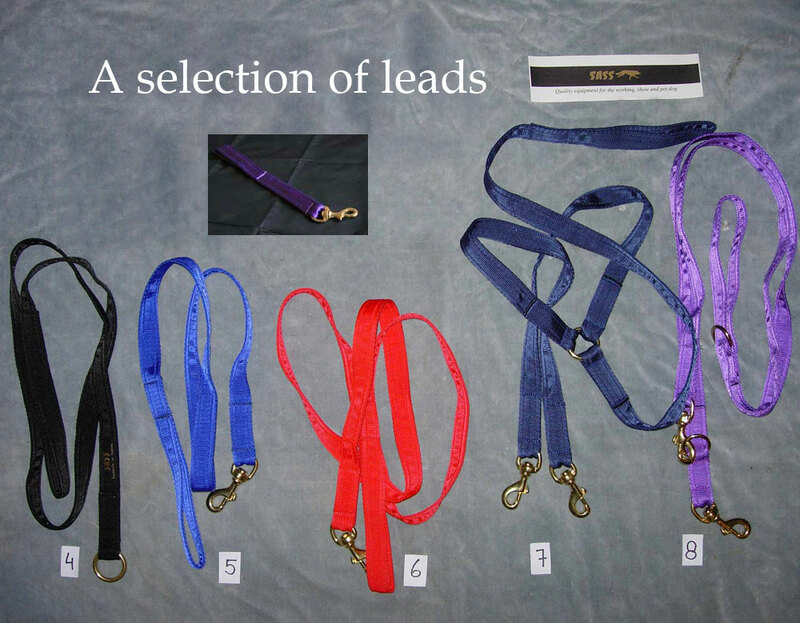 A selection of our dog leads. Our range of webbing dog leads are offered here. They include short leads, long leads, leads with clips or rings. We also have Y leads for walking two dogs at once. The range covers various activities that you might be doing with your dog, such as a short lead for close control, a double lead for walking two dogs at one time, or maybe an extra long lead for various training activities. At SASS we like to think we have most activities covered. All of our leads are made from ultra strong webbing with solid brass fittings, important for safety. All made from super strong webbing and solid brass fittings. We have a new range of colours to choose from too!